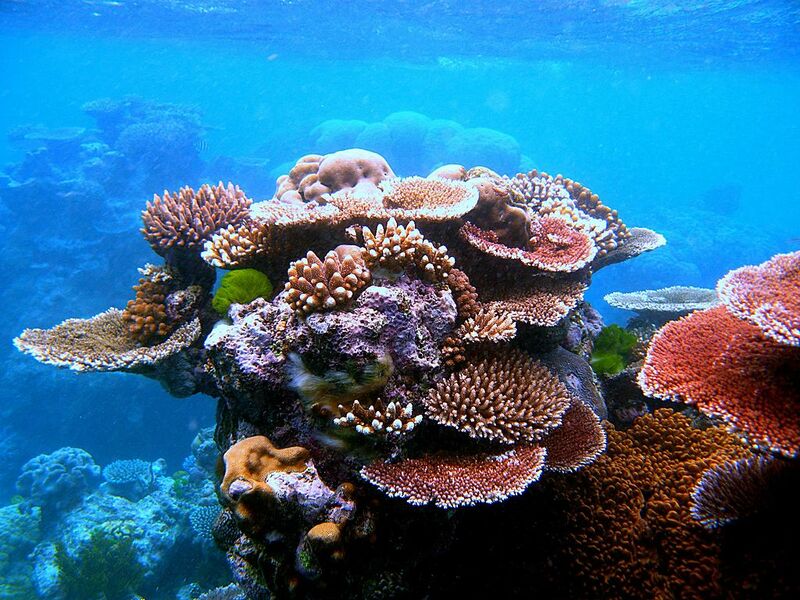 The Great Barrier Reef is the world's largest coral reef system composed of over 2,900 individual reefs ]and 900 islands stretching for over 2,300 kilometres (1,400 mi) over an area of approximately 344,400 square kilometres (133,000 sq mi) The reef is located in the Coral Sea, off the coast of Queensland,Australia. The Great Barrier Reef can be seen from outer space and is the world's biggest single structure made by living organisms. This reef structure is composed of and built by billions of tiny organisms, known as coralpolyps It supports a wide diversity of life and was selected as a World Heritage Site in 1981. CNNlabeled it one of the seven natural wonders of the world. The Queensland National Trust named it a state icon of Queensland. In November 2014, Google launched Google Underwater Street View in 3D of the Great Barrier Reef.